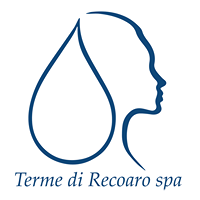 A sure peculiarity of Recoaro compendium which complements the offering of Spa facilities is the presence of a large park covering an area of HA 14.7542 made up of a park, garden and woodland, with a sports area, entertainment and gathering place for visitors of the Compendium. Various paths crisscross the park, which is full of a wide variety of botanical species and above all evergreens. There isn’t an updated inventory of the number and types of plants existing today in the park, but certainly the vegetation is characterized by the presence of a few thousand units. The last very detailed inventory dating back to 1931, listed 1200 plus tall trees around the park and along the access avenues to the Spa. An examination of the paper points out that more than 20% of the vegetation consisted of pines, 13% of firs and another 13% of chestnuts, a variety of native species (mountain elm, ash, lime, hazel, sycamore , walnut, beech, chestnut, etc.) and non-native (Himalayan cedars, cedar, etc.) with a predominance of spruces. The walk through the park was created around 1870 and lasts about an hour. We suggest starting the tour leaving from the parking lot below,Villa Tonello. From there you can see the row of ginkgo biloba and the great Incense Cedar. Climb to the upper parking lot, cross the entrance gate to the compendium Spa, there you will reach the upper square, continue up more stairs to the terrace of the Health Centre. From here you can take the path to the right that, after skirting for a few dozen meters the river Prechel, takes you inside the park. Carry on always keeping to the right. Along the path you will encounter a series of Lowson’ Cypresses and then numerous large spruces . There are also two examples in the shape of a candelabra, which is quite unusual for the species. You will then arrive at a chestnut tree there the path will descend slightly, returning to the Prechel stream. After having crossed the Prechel, go along a path flanked by a series of Himalayan cedars planted with geometric precision. Cross then a second stream, the Covole. After crossing a wooden bridge, we recommend a stop to admire the upstream waterfalls. with a stable and hay loft. In the clearing that surrounds the building there are fruit trees, a few mulberry trees, a fountain and a shelter for firewood. From the farm, the highest point of the park, the descent begins. Going down you can see many trees of considerable size. You arrive at the pagoda, pass by it and continuing down you get to the bowling alley. The visit ends when you reach the large Hotel Giorgetti, walk down the flight of steps next to the entrance of the bunker Kesselring.